When the lovely people a Bambini & Me got in contact to see if I would be interested in their new Bamboo Clothing Line, I had to say yes. The gorgeous prints and promises of baby soft materials, I couldn't resist. With prints to suit either boys or girls (many of which unisex) all that come beautifully packaged, these would make the perfect gift. 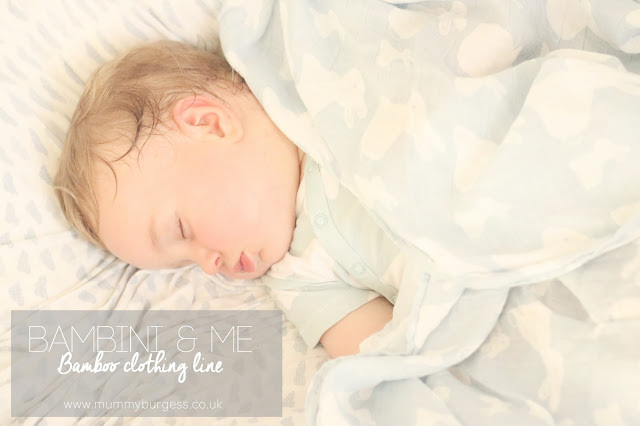 Bambini & Me is a family run business that took inspiration from a Christmas holiday in Thailand. Whilst they were looking around a local market they discovered a pair of bamboo baby pyjamas that were heavenly to touch, that true baby soft touch. They fell head over heels in love with the material that they soon created their own pieces once home. All of their clothes/designs have had the thumbs up from their own families children. Children who are very particular about their clothing, who hate anything scratchy - I think all children are quite particular about this!! So they aimed to create clothing that was super soft keeping fussy children happy. 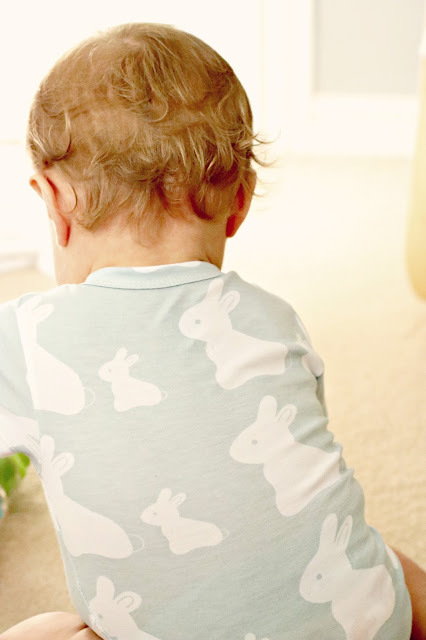 We were kindly sent the blue bunny print in a baby vest (£14.50) and swaddle blanket (£15.00). Both of which are simply beautiful. I adore this colour on Henry and, as I said before, is a perfect unisex colour. I was so pleased to see that, true to their statements, the bamboo material is really soft, even after washing. The vest has poppers down one side of the chest so it is super easy to take off over the head or rolled down the waist. So very practical too. 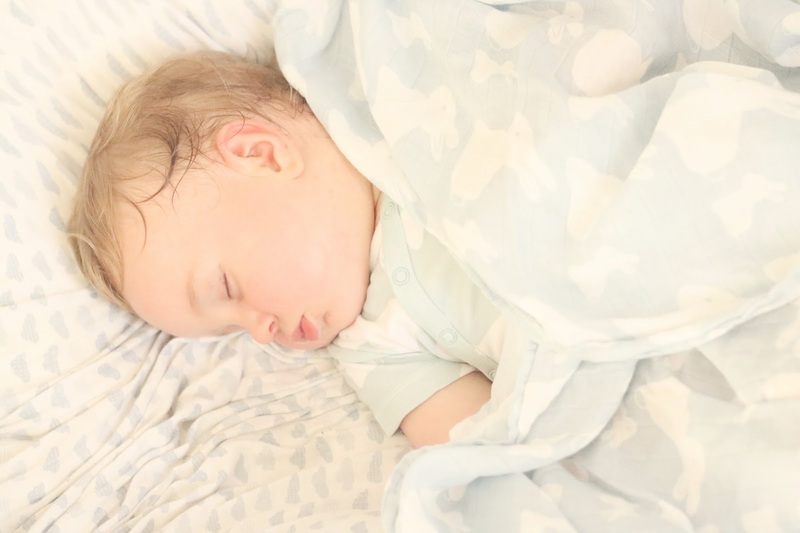 I was so pleased we received the swaddled blanket, it is perfect in this muggy weather we've had recently. It's really lightweight, but still offers Henry something to snuggle up too. 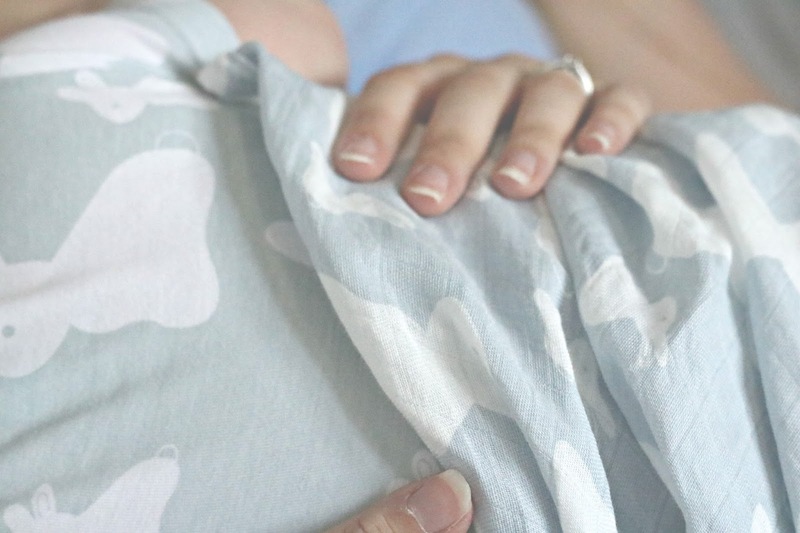 And although he doesn't like to be swaddled anymore, it still makes the perfect summer blanket. Falling in love with the bamboo material, I was intrigued to find out a little bit more about it and wow, it has some incredible properties! Bamboo is antibacterial and anti-fungal, it absorbs moisture away from your skin; it's more breathable than cotton; helps to control temperature. All of which are so important for babies and children, especially the latter. You can see the whole collection here. 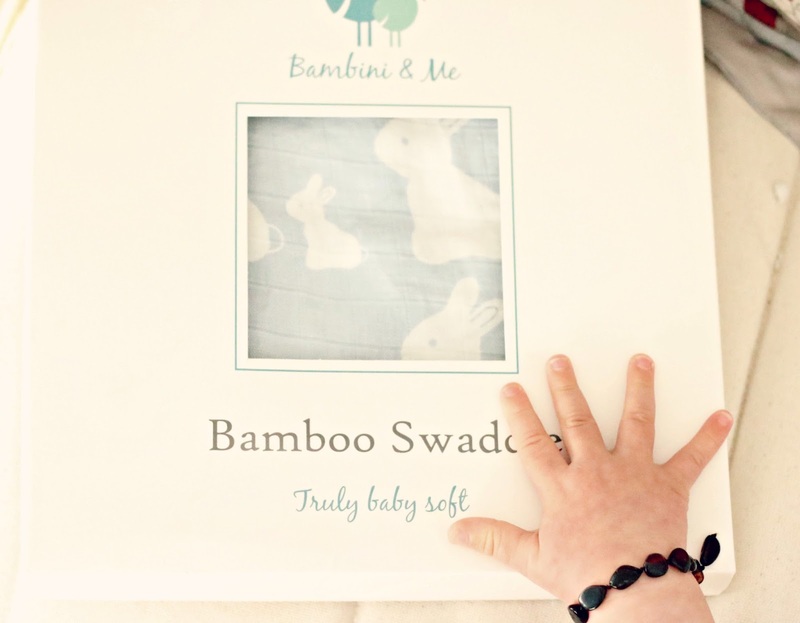 Have you ever tried bamboo clothing for your little ones? *Items were sent for the purpose of this review. All thoughts and opinions, as always, are my own.